“Things are different now, you can speak freely,” whispered our guide as we disembarked at Tunis–Carthage International Airport. While in the months following the dawn of the Arab Spring – which has now spread along the coast to Libya as well as through the Middle East to Egypt, Bahrain and Yemen – there certainly has been an opening of Tunisian society, the process is far from complete. With nearly 100 newly formed political parties competing for power in elections scheduled for October, it pays to keeps one’s cards close to the chest. Nobody is quite sure which direction the newly democratised North African nation will take following the overthrow of president Zine El Abidine Ben Ali. Locals talk in hushed tones of an Islamist takeover – with the Ennahda party viewed with particular concern. However, the group coming to power seems an unlikely prospect to those overseeing the transitional government. “Even if Ennahda get 18 to 20 per cent of the vote, they will still have to form a coalition to work with other parties and the other political forces, so I believe today not a single party on the left or on the right will be able to run Tunisia or to form a government,” Tunisian foreign minister Mohamed Mouldi Kefi recently explained. Others fear this very need for a coalition of parties could damage the country, with a series of weak governments unable to effectively maintain control. Whatever the outcome, it cannot come soon enough for the battered tourism industry. Although the sector is starting to recover following the Jasmine Revolution – tour operator TUI restarted flights as long ago as March, for example – there is still a palpable sense of unease among many on the ground, despite official protestations. “The tourist resorts were never at the heart of the protests, and Tunisians in these areas are looking forward to getting back to work and making sure our visitors have a wonderful time,” explains Anissa Ramoundi, UK & Ireland director for the Tunisian National Tourist Office (TNTO). Resort hotels in the beachside destination of Sousse, one of the most popular in the country, are still reporting occupancy rates of in the low tens of per cent; significantly down on the already depressed figures for 2010. As Mohamed Maknine, communications & marketing manager for Movenpick Resort & Marine Spa Sousse explains: “We decided not to close as a matter of principal during the revolution. “At one stage we had as few as 30 guests staying in the property. However, the recovery is well established, with domestic guests joining our business visitors in pushing up demand. But the longer this transitional period lasts – with Tunisia effectively without a mandated government able to plan for the long-term – the more tourism will suffer. Western European visitors – those from the UK, Germany and France in particular - are choosing comparably priced destinations in Turkey, Spain and around the Mediterranean while Tunisia remains in flux. This despite a major advertising campaign aimed at these source markets and designed to remind potential visitors of Tunisia’s white sandy beaches, excellent golf courses and thalassotherapy centres. “For the majority of Tunisians, the revolution has been very positive, allowing people the chance to speak freely for the first time; just a few months ago a campaign like this would not have been possible,” added Ms Ramoundi. Despite these short term obstacles, tourism insiders in Tunisia have reason to be optimistic. The sector accounted for roughly eight per cent of GDP and 380,000 jobs last year, with this figure set to grow in over the mid- to long-term. While the capital Tunis has seen its popularity fall over recent years, it has been replaced by Monastir, Sousse and, most importantly, Hammamet, in attracting western European package holidaymakers to the country. These resorts are just two and a half hours from the UK and are served by most low-cost carriers, making them particularly attractive. With prices also being cut to woo skeptical visitors, now could also be a great time to visit. As John Acton, senior product manager for TUI UK, explains: “While the troubles in North Africa have had an effect on sales to Tunisia this summer, we are confident that the destination will bounce back well. 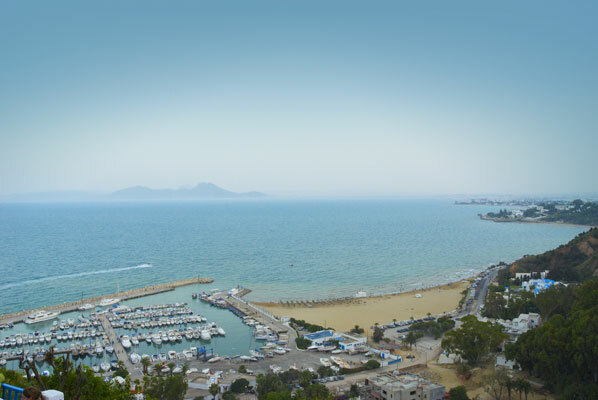 With the ancient Roman city of Carthage also among the most desirable tourist attractions in the world, Tunisia certainly has the facilities, attractions and infrastructure in place to regain its position as a major tourism player in North Africa. Only following the elections – set for October 17th – will the world know if the political will exists in order for it to do so. 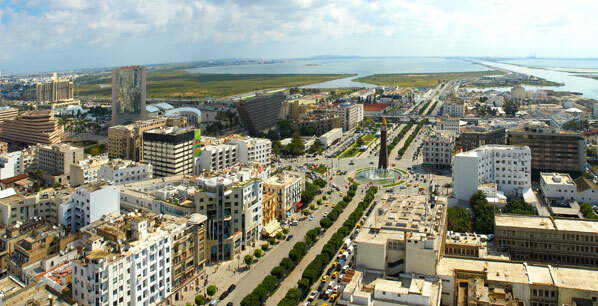 Return flights to Tunis are offered by Tunisair, which operates four flights per week from London Heathrow to the capital. Prices start from £180, including taxes, with more information on the Tunisair website. Rooms at the five star Regency Hotel in Tunis start from £175 per night, based on two people sharing on a bed and breakfast basis. Rooms at the Mövenpick Resort & Marina Spa in Sousse start from £230 per night, based on two sharing on a bed and breakfast basis. For all your travel needs and for information on what is happening in Tunisia check out the official Tunisian National Tourist Office website.